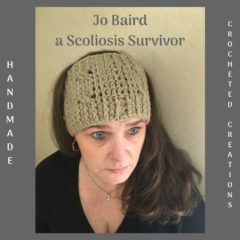 On this Page I wanted to share some easy crochet patterns for my fellow Scoliosis Survivors and chronic pain sufferers. I want to share the links to the patterns with you because these are short and sweet patterns! 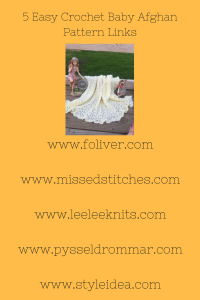 These links are chosen for those of you who crochet and can’t sit for long periods of time. Also they are chosen so you can feel a sense of accomplishment when the pattern is complete! 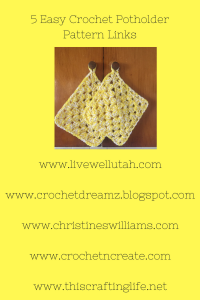 On this page you will find easy crochet patterns for Afghans and Baby Afghans; Kitchen Towels; Potholders; and Men’s Scarves. 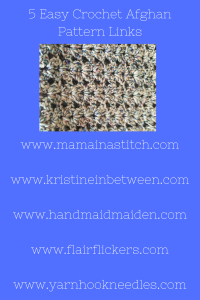 These pattern links will take you to the original website where these easy patterns were made. You can also visit Red Heart and find FREE patterns there as well. I will be adding more as time goes by. I want each and every one of you to feel the sense of completion! I want you to feel the yarn running through your fingers. To feel the pattern growing as you concentrate on the rows. I want you to have that joy that comes from making something with your own hands! All of these things will help you cope with the trials that come with Scoliosis and pain. They also and give you hope, hope that you can put your suffering out of your mind! I know what it’s like to suffer with pain. I know what it’s like to have a bad day because you got a bad report at the doctor’s or your physical therapy didn’t go right. I know what it’s like when the specific exercises you need to do only cause more pain and suffering. 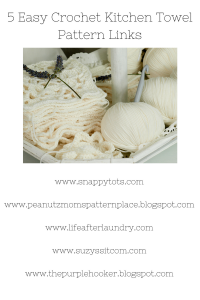 BUT, Crochet can help with ALL of these things! Crochet can make your day a little brighter! Crochet can cope and give you hope! If you would like to share your story with Scoliosis, Chronic Pain, or to just leave a Comment please do so below. 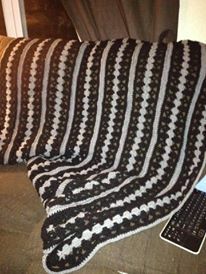 If you would like to share a picture of your Crochet project please do so below as well. I would love to hear from you and see what your Crafty Hook has created! If you would like to share any of these things privately you may email me at jo@joscraftyhook.com.